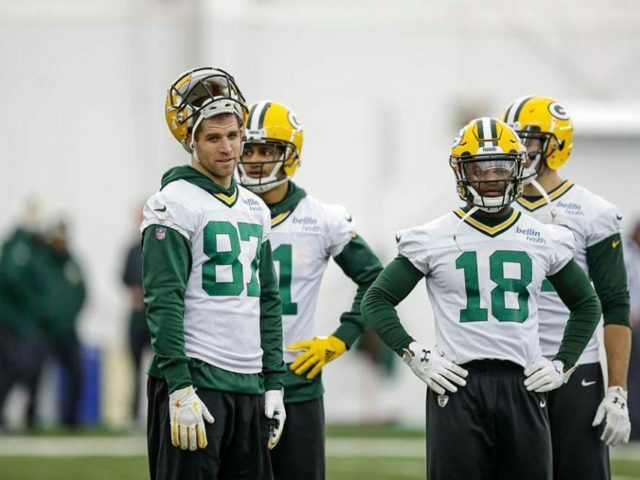 The Wide Receiver position is one of the most intriguing offseason roster storylines for the Packers. There is only one Wide Receiver on the roster, Davante Adams, that is a given to have a even be on the roster next year let alone play a significant role. At the same time, there are five additional wide receivers that could have a significant role next season. Overall this group is sub par, which is perplexing as prior to now, it has been a strength of the McCarthy and Thompson era. Also, after the Packers selected Davante Adams in the 2nd round of the 2014 draft, they have drafted six Wide Receivers, and exactly zero of those have made a significant impact on offense. While those were all day three picks, one or two of those would figure to pan out. But they haven’t. It is well documented that the Packers Wide Receivers were slower than any other group in the NFL. Speed should be the primary focus of improvement. And they have plenty of ammunition. While they don’t rank high in terms of cap space relative to other teams, they do have plenty and have a few contracts that can easily be re-worked and have adequate space regardless. They also have three large contracts (Nelson, Cobb and Matthews) that enter the final year of their contract and with those deals falling off the books they can always structure new deals to account for that, by having a small cap hit for the 1st year. 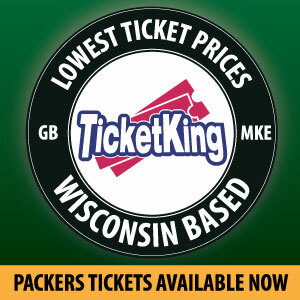 And thanks to Ted Thompson’s free agency strategy, and the Packers poor season, they have significant draft capital. 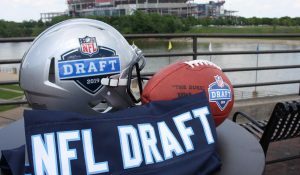 In addition to picking in the top half of each round, they are expected to gain a 3rd and two 5th round compensatory picks, and they have an extra late round pick from the Bills. What they do with the players currently on their roster, or via free agency or the draft depends upon one another. If they acquire a higher priced free agent, they are less likely to use a high draft pick on a WR and those currently on the roster will see diminished roles. Let’s break it down starting with what is on the current roster. There has been much written about what to do with Nelson and Cobb. Here is Anthony Haag recent piece. Both are in the last year of their contracts; This is significant because regardless of how one feels about whether or not they are worth their salary, it is only one year remaining and their status has little implications on the salary cap going forward. In a worst case (to the cap) scenario they keep both as is and then they may have to structure a contract or two to carry a lesser cap hit this year and a slightly higher cap hit in years going forward. In the grand scheme, it would be a tiny % of the cap this would affect. There is value in both for a few reasons. One, Cobb can still work the slot and has wiggle. Just watch this play. Nelson is a different story. It’s quite clear he has lost a step. Even in 2016 when he had great numbers, it felt like it was all based on rapport with Rodgers and savvy route running, in particular against zones and operating from the slot as a Tight End in disguise. Regardless, he does have value and could be a big part of the offense for a few reasons. One is that he can be very effective as a slot receiver. Just because Cobb is your primary slot receiver doesn’t mean there is no room for Nelson in that role too. He is an effective blocker and can play closer to the ball than a typical slot player. But otherwise, he is ideal as someone to pick up more snaps if someone else gets injured, as he knows the offense inside and out and does need to build rapport with the QB as most players thrust into more snaps do. Plus, having both gives they more options for four or five wide sets. It’s easy to ignore all three of these players as they were not highly regarding prospects and have not done anything to prove that assessment wrong. There is a strong possibility that none of these three will have any role in the offense, but again, it all depends upon what Gutekunst does with Cobb/Nelson and then in Free Agency and the Draft. Out of those three, the one with Allison has by far the most experience at the NFL level with 35 catches for 455 yards in two season. He also happens to be one who is least likely to see an expanded role. He has filled in okay, such as the Bengals game this year, the Atlanta game last year and the Cowboys playoff game last year, but his upside is obviously limited. He is and never will be more than a bit player. He is a long lanky and slow wide receiver on a team that desperately needs speed. He is Ruvell Martin 2.0. Michael Clark is a fascinating player because he is such a freak athletically. At 6’6” he looks like he should be playing Small or Power Forward for an ACC school as much as a being WR in the NFL. He is again, what the Packers don’t necessarily need. He is big but doesn’t add much in the way of a vertical threat. Nonetheless, he is one to keep an eye on because he adds something that isn’t common and could be an effective outside receiver and while he doesn’t present speed he does give McCarthy and Philbin a potential piece to use in certain situations or packages. Trevor Davis is a bit of an enigma. He was a 5th round pick but scouts were generally positive about him coming out of college. He is exactly what the Packers offense needs. Speed. Look no further than the punt return against Cleveland, right here. In the limited time he has got the ball in his hands from scrimmage, he has made the most of it. The problem is getting the ball in his hands. McCarthy has not given many snaps at all to receivers on the depth chart past Allison and when Davis has seen the field he has run some poor routes and not capitalized on this chance. The epitome of that was against the Vikings in Week 16 when Davis gained separation on a go route and Brett Hundley threw a perfect ball that Davis appeared to lose in the lights. The speed and physical talent are there. And unlike Janis, he at least looks natural. Its hard to believe that there isn’t a place for someone like that in the rotation. Andrew Mertig does a great job highlighting several Wide Receivers that surely on the Packers radar (and the free agent market as a whole), from higher price names such as Sammy Watkins to lower-priced such as Donte Montcrief. The key to this group is that there is plenty of speed. Every one of those listed has plus speed, with Lee being on the lower end of that but still plenty fast with Watkins and Montcrief being on the higher end. I would add John Brown from the Cardinals to this list. He would be a lower price than the others coming off a down season. But the guy can flat out fly and may be just what the Packers need, and one to buy low. There are plenty of options for Gutekunst to explore and most are young. If he chooses to be aggressive, more resources early in the draft could be used for other positions, such as edge players, the secondary or a tight end. There are obviously many, many prospects that Packers are looking at. The consensus number one player is Calvin Ridley and there is a decent chance he would be available to the Packers in Round One. He is a smooth route runner, is fast and is a good route runner. I don’t see a home run here, which is what you would want with a Wide Receiver at that point in round one. One reason is that although he is a Junior he is already 23, which is fairly old for NFL draft standards. The younger the prospect the better if going for the home run Ross Uglem and Andrew Mertig are the Packers Talk experts regarding prospects. Be sure to check back in for their breakdown of various prospects and/or Mock Draft. Its doubtful that Gutekunst has a set plan. What happens to all the currently rostered players and how they approach the draft is dependent upon how negotiations turn out with various free agents. What I think is the most likely scenario is that the Packers keep Nelson and Cobb (contract situation unknown), sign a mid to low-level free agent that has speed, such as Donte Moncrief or John Brown and then using a day two pick (most likely a 3rd rounder). It’s important to add a free agent and not to rely on a 1st or second-round pick to contribute. Wide Receiver has a higher rookie learning curve than most other positions and draft resources would be better spent on defense where it is easier to make an impact early. 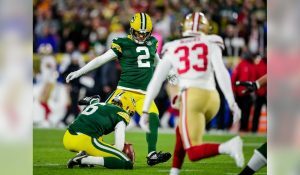 And finally, Davis, Clark, and Allison would be allowed to compete for a spot creating the “competitive roster,” situation that McCarthy spoke to after the season. A couple modest additions that involve speed would turn this group into a strength again. This entry was posted in Packers 2018-2019 Season and tagged Jordy Nelson, Randall Cobb, Trevor Davis. Bookmark the permalink. I’d rate Cortland Sutton as the number one WR in the draft, but it is going to be hard to pass up some of the edge rushers / CBs / Safeties / LBers also available with the first pick.